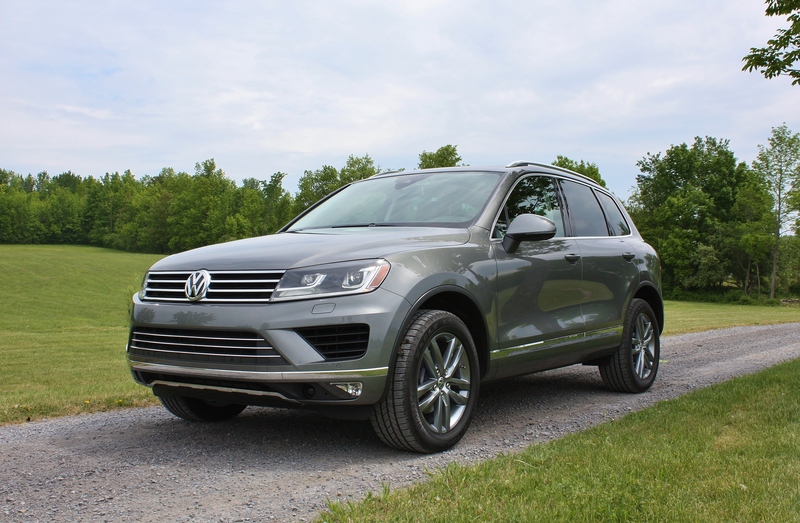 For 2015, VW has given the Touareg a refresh. The best way to combat an image problem is to re-work the image. But what changes have been made? They may be slight, but a number of exterior design enhancements give the VW a more up-scale appearance. They updated the front fascia and redesigned the LED front and rear lights. The effect works much the same way it did for the VW Jetta. Small changes provide a bigger impact. It may be worthwhile for Volkswagen to revisit their exterior color options since the lineup lacks a pop of color for those who may want it. Volkswagen has a Touareg problem. 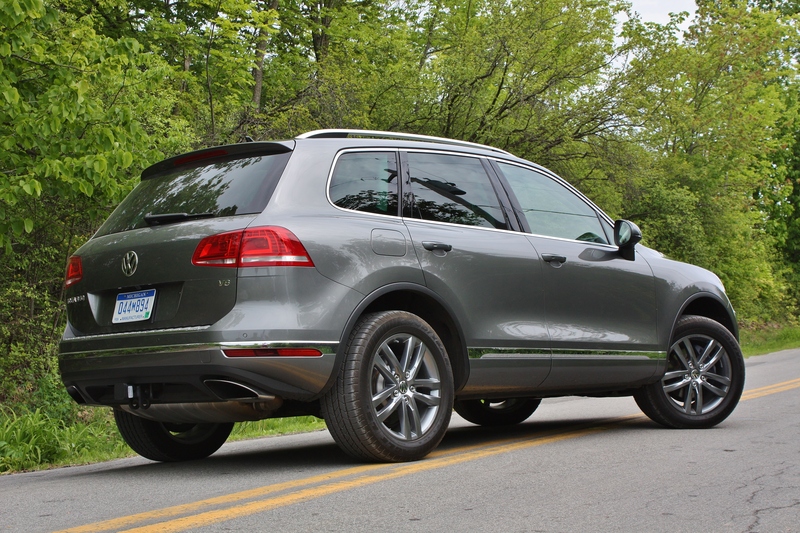 For some reason, the Touareg has become their perennial slow mover. In May of 2014, they sold just 552 Touaregs. This May, sales rose to 700. That gives VW less than half a percent of the mid-size SUV market. It’s fair to say that the Touareg may have a bit of an image problem. Initially launched as a capable off-roader with a luxury feel, its heritage feels all but diluted away. An SUV that once offered a locking center differential and a 5.0L V10 TDI engine is now billed as a premium SUV with a choice of gas or diesel V6s. 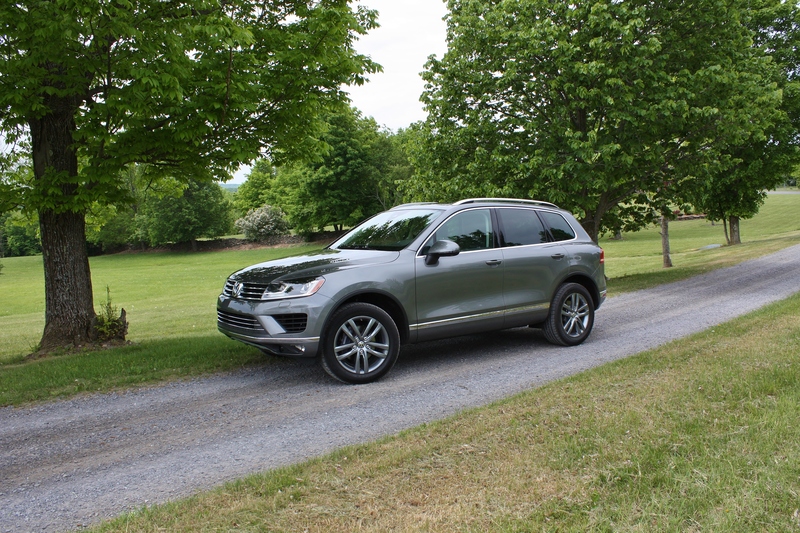 Our experience in the 2014 Touareg TDI Executive backed up VW’s premium SUV claims. But price seemed to get in the way. Priced nearly equal to its Audi and Porsche cousins, it just didn’t seem viable. You’ll find yourself in a German oasis while sitting inside the Touareg. It offers available upscale leather seating surfaces and with a well thought out console design. The 12.7 sq.-ft. panoramic sunroof is striking and makes the cabin feel open and airy. I would opt for the Terracotta Brown leather interior due to its richer look. Details matter to Volkswagen and it’s evident. The gauge cluster is crisp and efficient. It’s nice to see that they still believe in real gauges in a segment that’s gone digital. The driver information system is easy to use and offers all information from directions, audio, and general car related settings. However, VW’s new adaptive cruise control isn’t as intuitive to use as some of its competitors. The infotainment system is on par with a very responsive touch screen. However, the unit as a whole is starting to show its age. 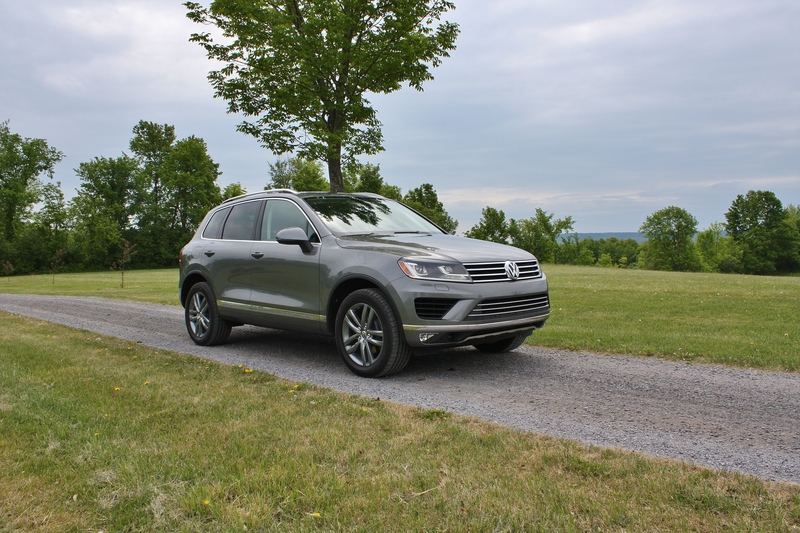 The 2015 Volkswagen Touareg offers plenty of new safety tech; adaptive cruise control, front assist with autonomous emergency braking, side assist and lane assist. We can attest to the effectiveness of the front assist with autonomous emergency braking—it works well but takes a bit of getting used to. It’s a bit frightening to give up control and emergency stops are particularly violent. But if you have the choice of a violent stop or an accident, you’d pick the stop every time. Our previous Touareg tester came with the V6 TDI engine option; this time we have the opportunity to try their gasoline alternative. It offers adequate power with 280 hp and 265 lb-ft of torque. Its 8 speed transmission is smooth with only mild hesitation upon hard acceleration. Over the course of our week with the Touareg, we managed 20 mpg which is on par with the EPA estimates. An area of weakness for most SUVs is a lack of steering feel or a feeling of it being artificial. The Touareg stands out from the rest in this area. It feels and handles like a car. This has been one of the greatest attributes of the Touareg. It really doesn’t drive like an SUV. The refreshed Touareg offers exceptional interior quality with a classically designed exterior. The German driving experience and ergonomic design are overwhelmingly present. The Touareg provides the driver with confidence thanks to its safety tech and easy-to-read driver cluster. The only negative we associated with the Touareg, again, is its price tag; $56,000. However, if you can look past the price, you’ll find a host of reasons to love the Touareg. It’s bright, roomy, relatively efficient and nicely styled. It’s a svelte SUV that just doesn’t get the attention it deserves.